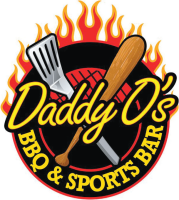 In the summer of 2011, DaddyO’s BBQ & Sports Bar was a Staten Island restaurant start-up operation owned by two partners, with two small investors. Just after securing a leased space for build-out of the restaurant, we were retained to provide Executive Business/Management Consulting & Execution for the launch, overall development, and branding/expansion of the restaurant. We designed and implemented a holistic process to interview and on-board all executive staff, front and back-of-house staff. We also provided guidance in vendor selection, structuring vendor contracts, menu design, and initial operational procedures for front and back-of-house. The enterprise successfully opened in October of 2011 with the two partners (CEO / COO), a Head of Hospitality, four bartenders, fifteen servers, two Executive Chefs, four line cooks, two dishwashers, and three bus-boys. The average wait time for dinner guests at the bar on a full-house Friday/Saturday night was forty-five minutes. We designed and implemented a comprehensive operational Playbook to foster leadership and a strong team-first culture at every level in the enterprise. The Playbook featured a feedback system of daily check-ins and check-outs, a reward system for new business development, and Sales Personal Best – a front-of-house sales incentive system that rewarded each server whenever they surpassed their personal sales record. The results of this stage of the assignment included the enterprise earning Restaurant Of The Week honors from popular blogs Wine Dine And Leisure Time and The Restaurant Researchers, as well as a second-place finish for one of its servers, per an independent “best server on Staten Island” poll by the Staten Island Advance newspaper. The final three months focused on fine-tuning the operational branding of the enterprise to best position it for strategic expansion into multiple locations. This stage included fully documenting all operational structures, systems, policies, procedures, and guidelines developed to-date. It also included investor relations and prospective investor development, as well as ensuring the performance of the first location could be sustained while the due-diligence for expansion into a second location was commencing.